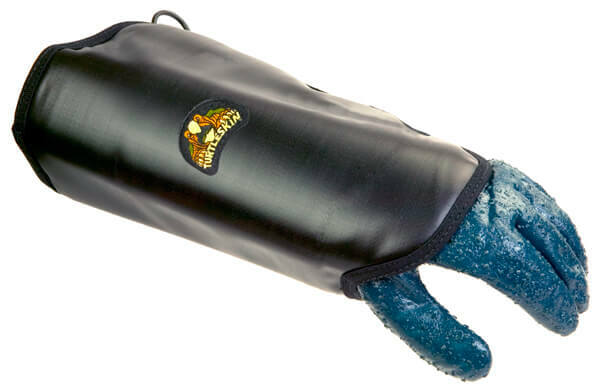 Turtleskin protective equipment provides protection to users of ultra high pressure (UHP) up to 40,000 PSI. Operators of water blasters need to ensure they have personal protection when using these very high end machines. 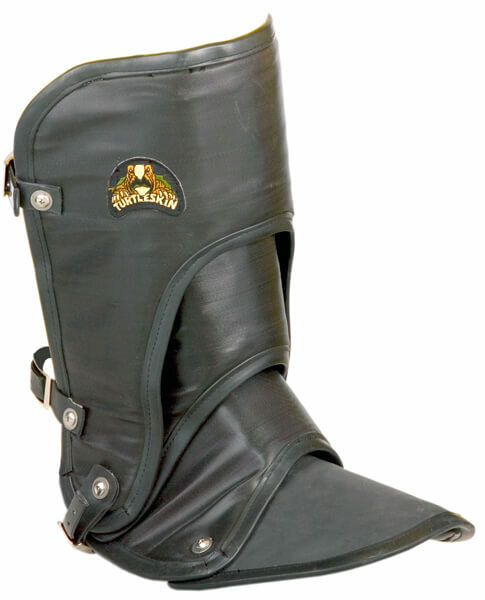 The main advantage of the Turtleskin design of waterarmor is that it uses a modular component system. It is composed of multiple panels that can be replaced individually. 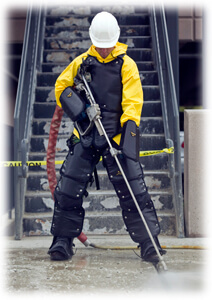 Waterblasting operators will like the fact that it is lightweight and fully adjustable for any size. Gaiters, suits, and gauntlets are each sold separately. 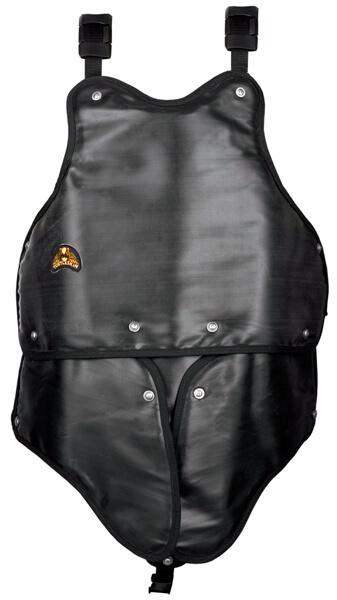 Each Turtleskin garment has thin panels on that can be shortened or lengthened as needed to fit the size of the operator. Another big advantage over other UHP personal protection is the open back to keep the users cooler. Waterjetting is not easy work, this unique design will provide circulation to the rear of the user as it protects the front. The chaps have built-in cushioned knee pads that protect the knees from jet streams and reduce discomfort when kneeling on hard surfaces. The Turtleskin protective equipment technology will reduce fatigue and increase productivity. Each panel moves independently allowing free movement and ease of use. Material is tough and rugged and easy to clean. The material of these suits also provide improved chemical resistance. The Turtleskin protective equipment uses a modular design and are sold separately so you buy only what you need. 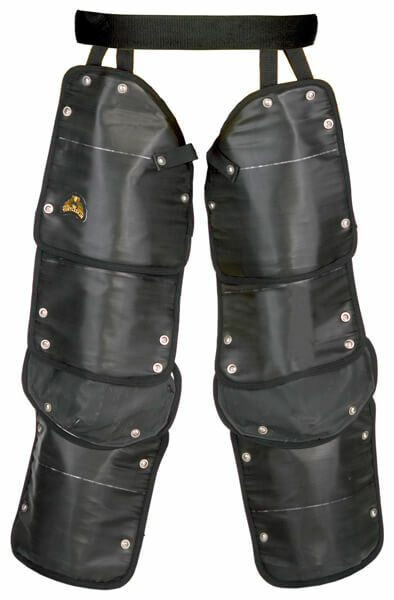 Chaps, Gaiters, and Arm Protection are sold individually. Protect your employees from injury from extreme water pressure. Complete UHP Protection from 5,000 to 40,000 PSI – Frontal protection for whole chest, legs, and feet. 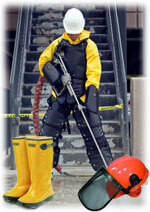 Suit is One Size for Covering a Range of Sizes and Decrease Safety Expenses. If any panel become worn or damaged, it can be easily replaced with simple tools. This can save costly delays, as well as the expense of an entire new suit. Replace only affects piece and either use the original hardware or purchase new hardware according to what section you need. One hardware kit is needed for entire torso, chap, or gaiter. Either use existing hardware or replace it. Replace sections of the gauntlet or gloves that may be damaged or lost. Use your existing hardware if not affected by wear or damage, or purchase kits below as needed for replacement of the hardware. One kit needed for each Turtleskin protective equipment section of your suit. Water jetters for commercial and industrial use. These water blasters have high pressure for contractors and speciality cleaning purposes. Add cleaning tools such as foot valve to smoother operation with your ultra high pressure water blaster. These foot valves are rated 11,600 up to 21,000 PSI or 800 bar to 1500 bar.